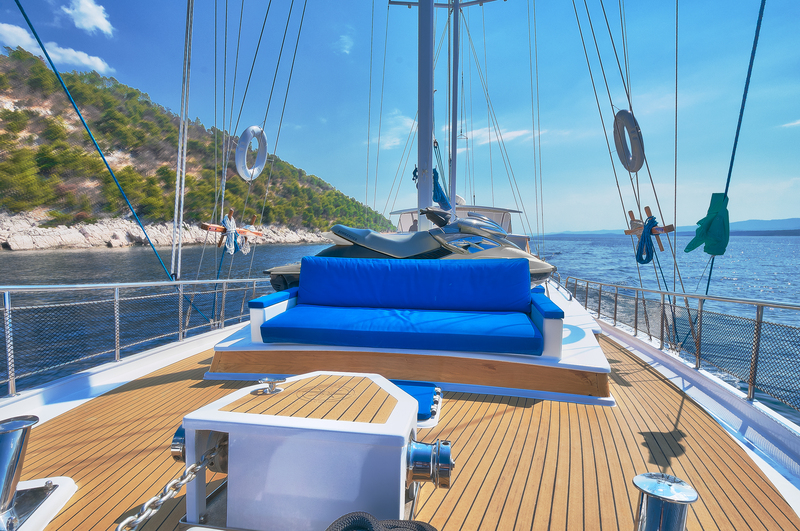 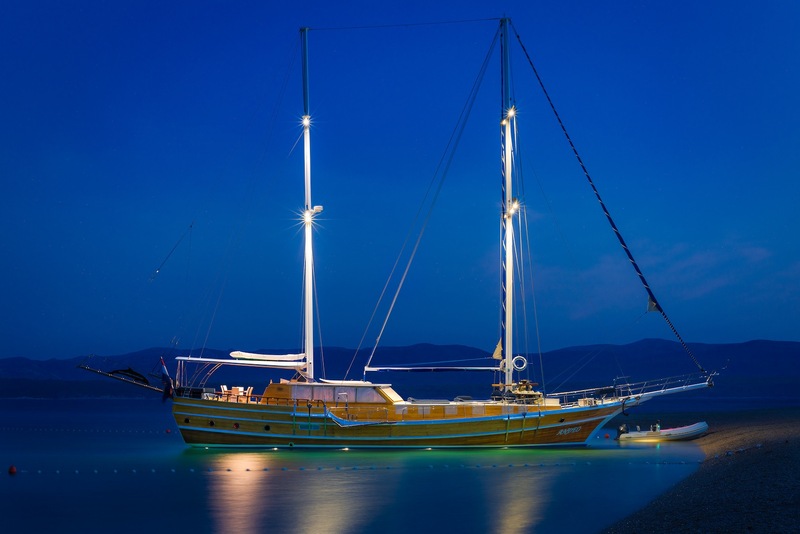 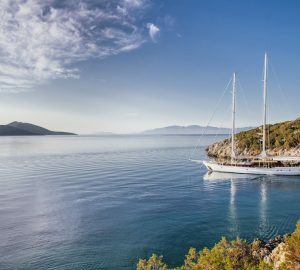 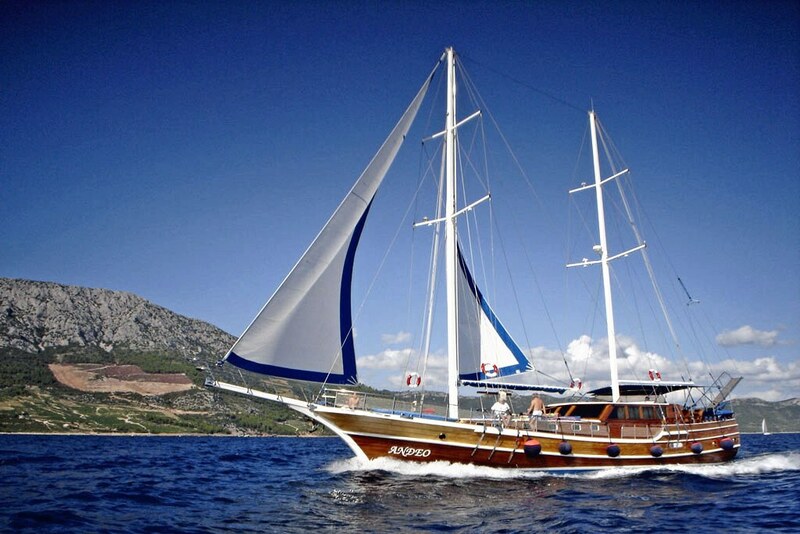 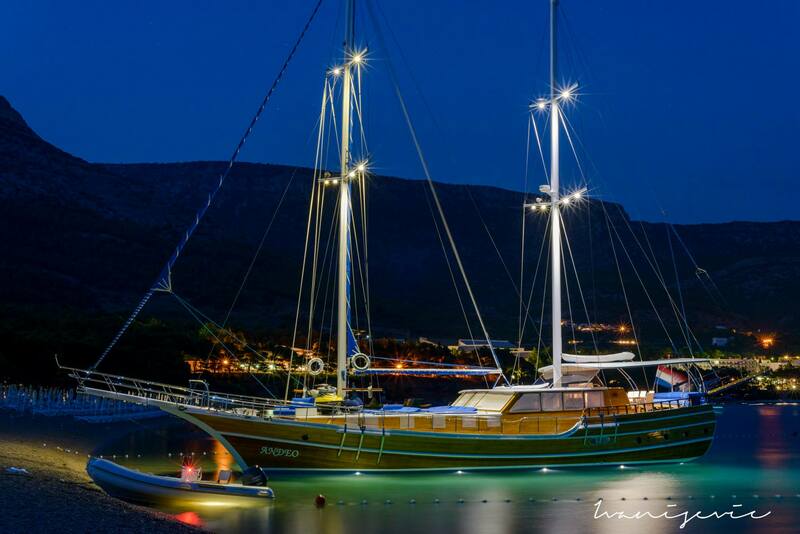 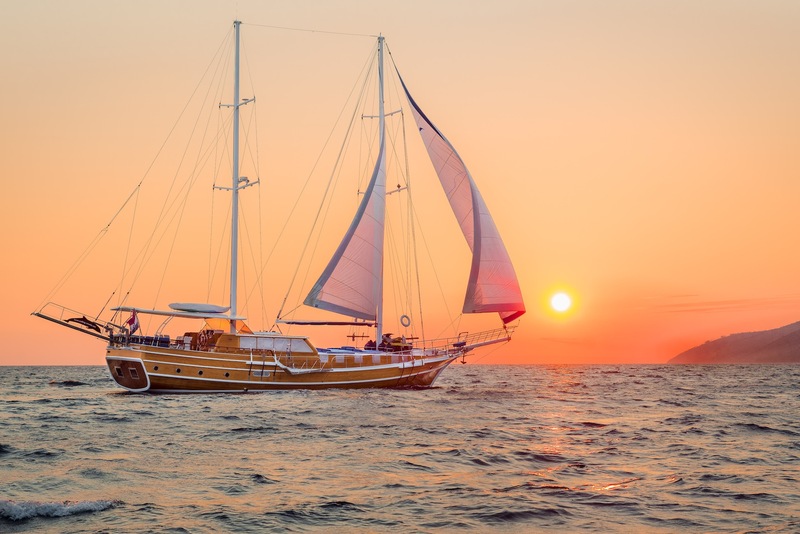 Luxury Gulet ANDEO is a 27 meter (88.56ft) traditional sailing yacht, she accommodates up to 10 guests in 5 cabins. 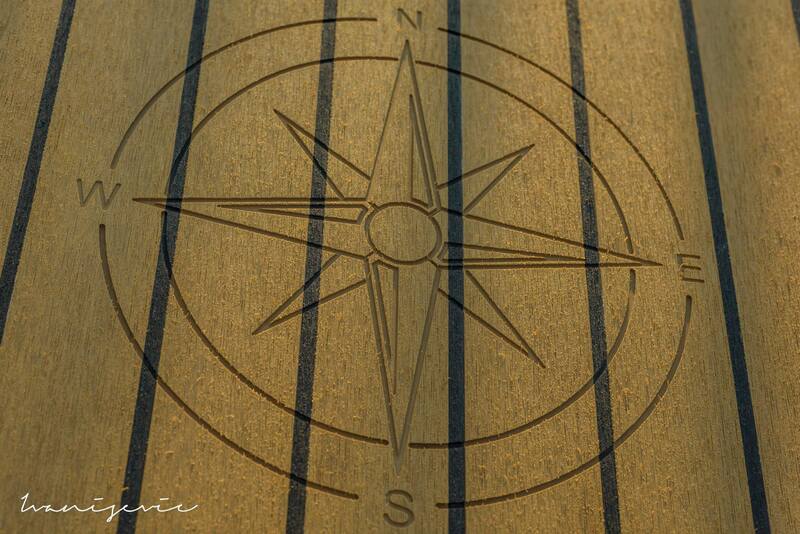 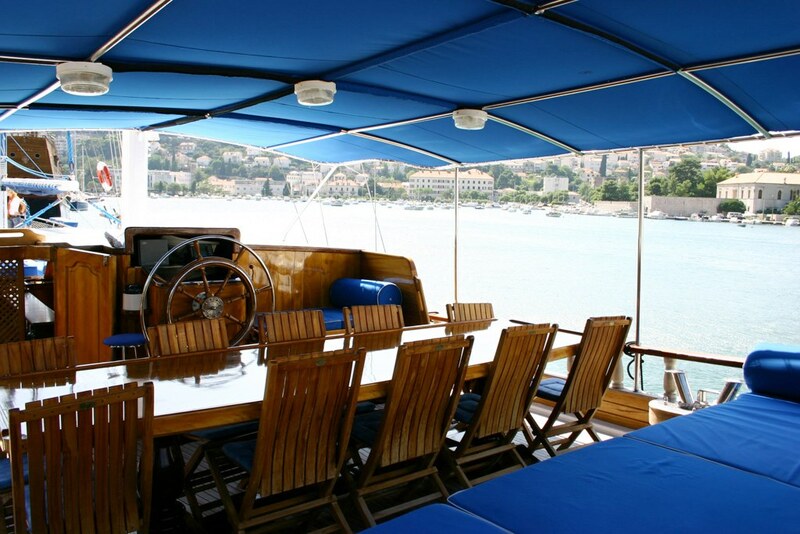 The yacht is based in Dubrovnik year round. 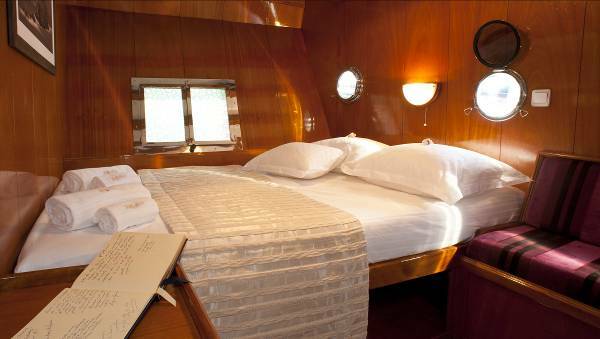 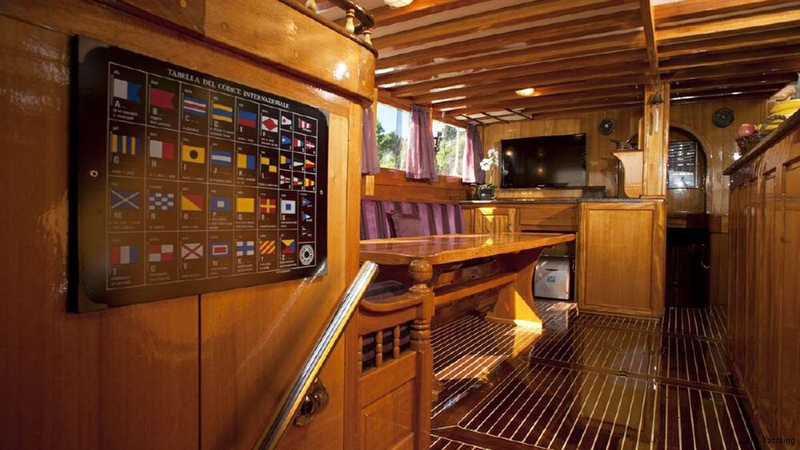 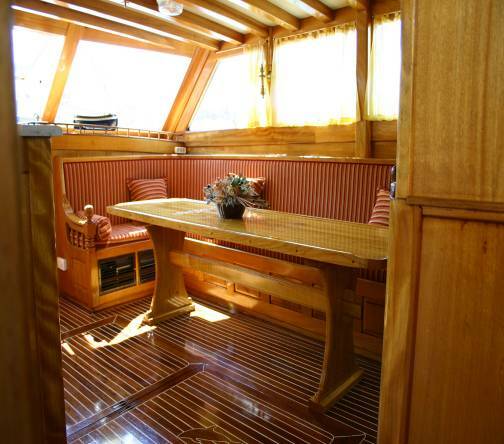 S/Y ANDJEO boasts a warm and inviting interior with lovely contrast of quality teak and mahogany woods with a high gloss finish. 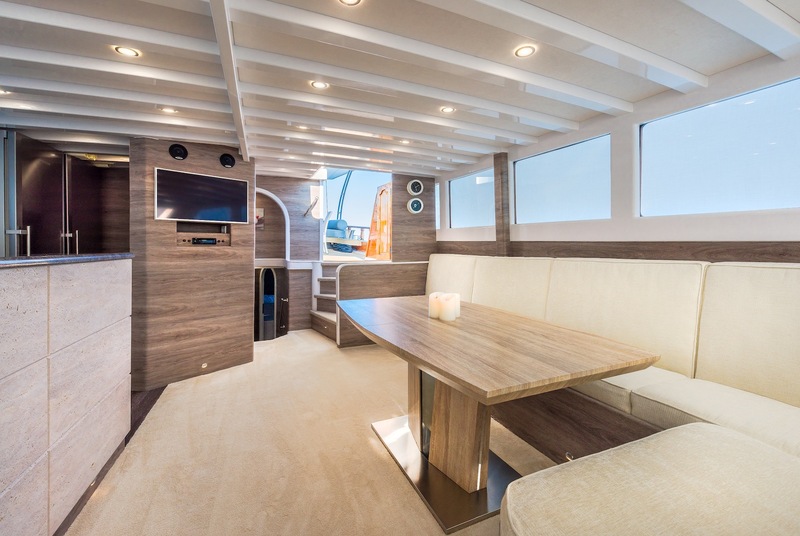 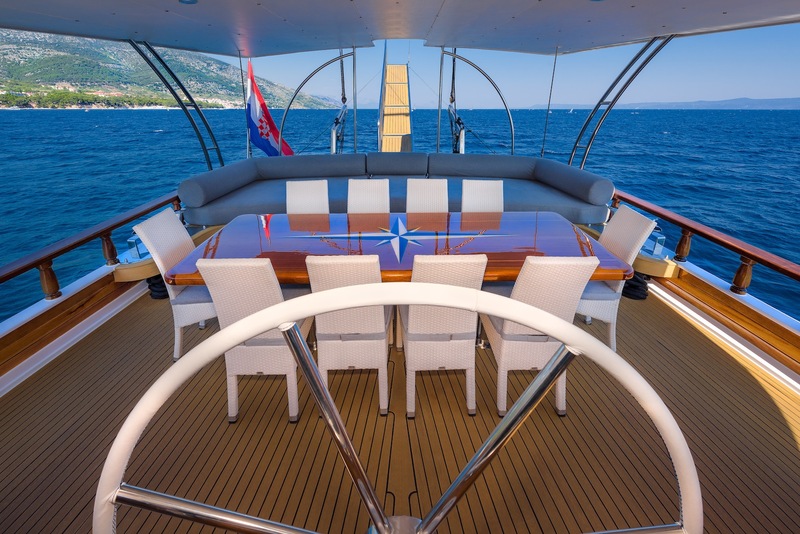 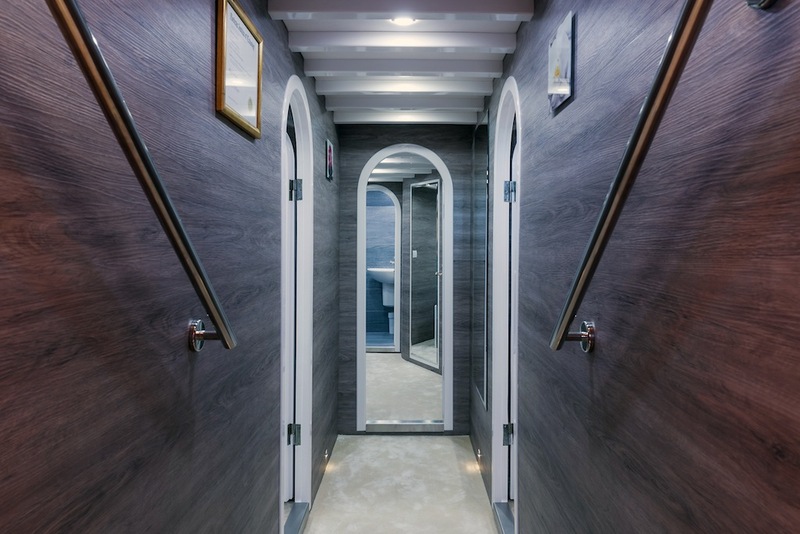 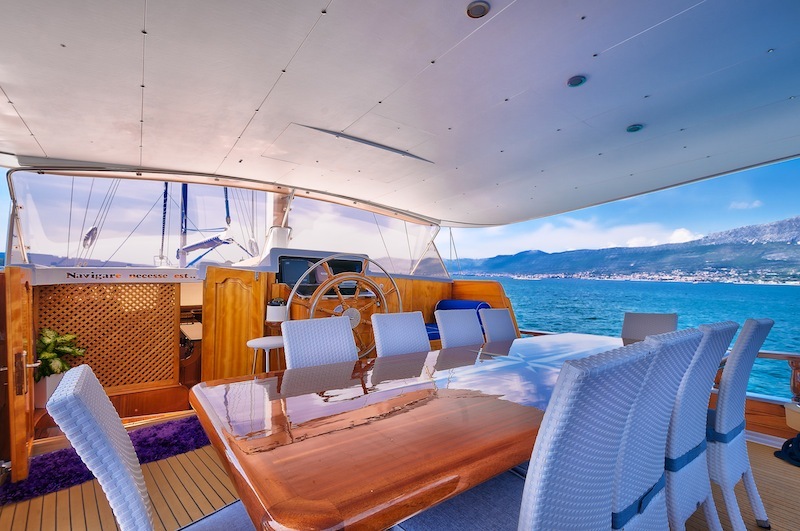 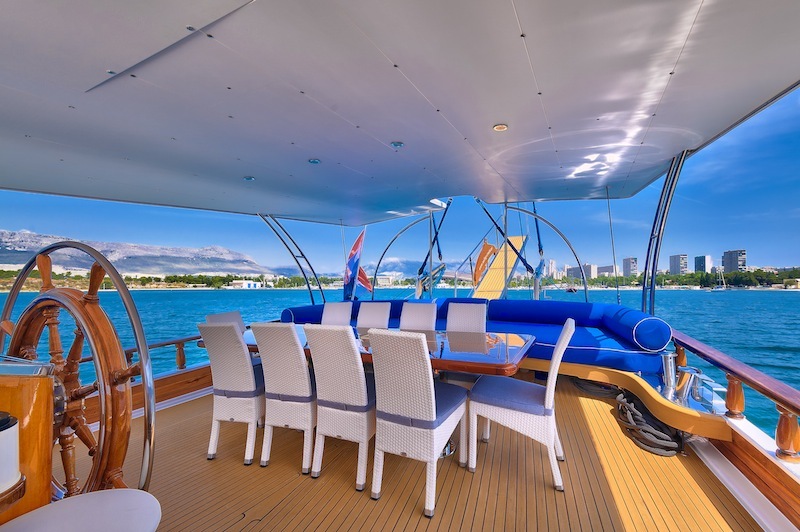 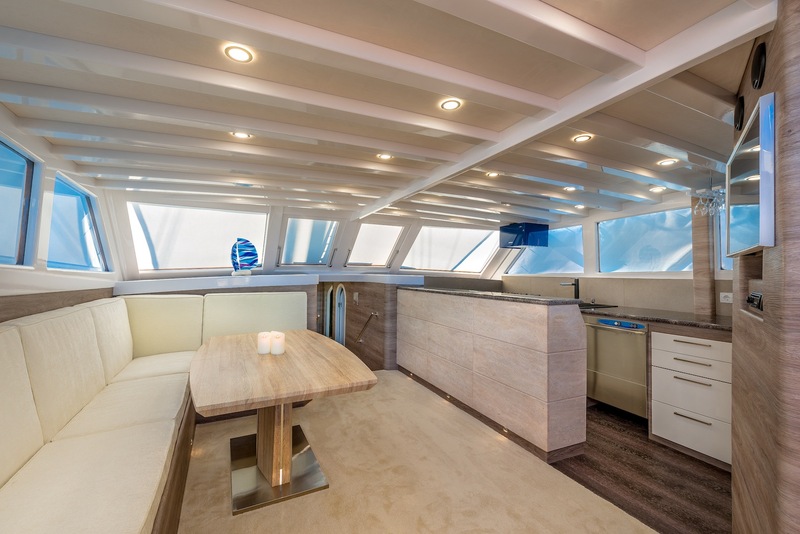 The salon offers a light and airy environment with large windows, a full length solid wood table for 10 guests on the starboard side, plus a marble top bar and a flat screen TV; On the port side is the open immaculate galley with marble work tops. 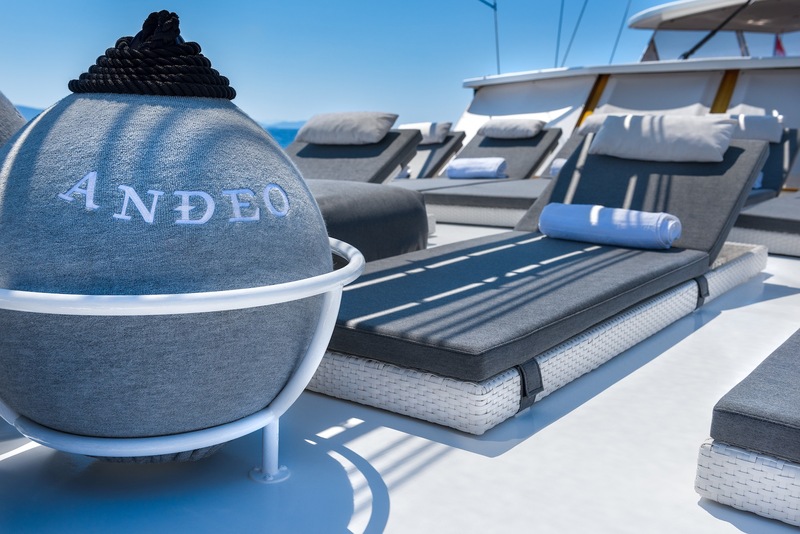 On deck charter yacht ANDEO provides ample deck space, her aft deck has an shaded alfresco dining option and full beam cushioned seating behind, while her foredeck offers large individual sunpads on a raised sundeck. 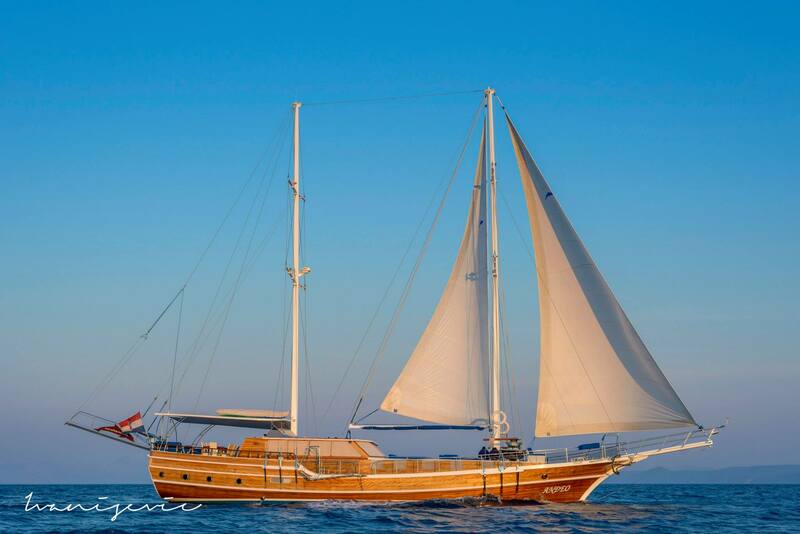 Gulet ANDJEO comes complete with a 3.8 meter tender powered by 40HP engine, Jet ski, Water skis Kayak, Snorkel gear, Karaoke and board games. 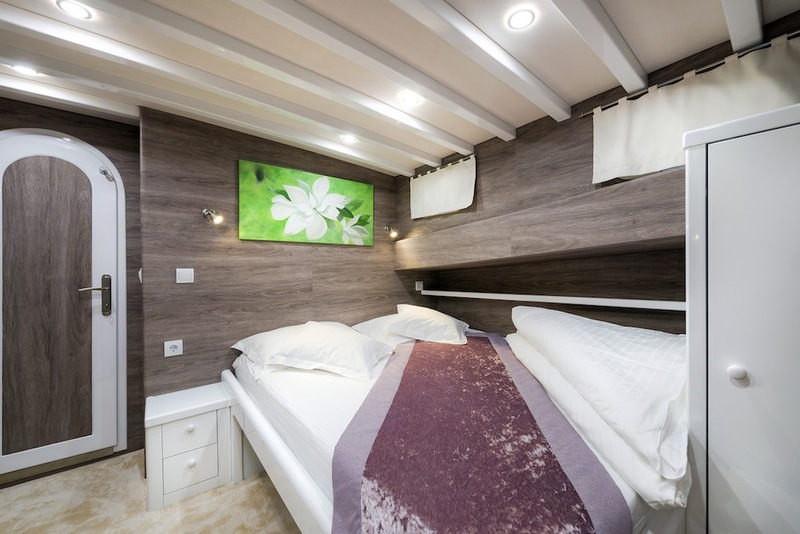 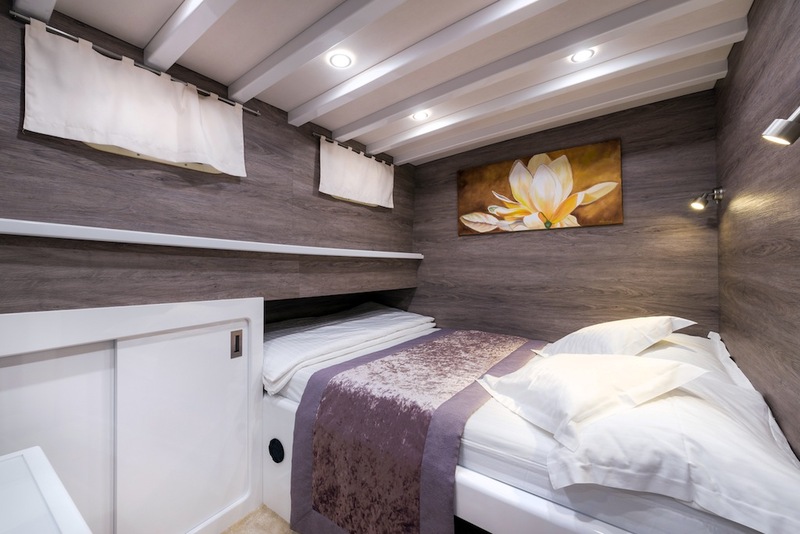 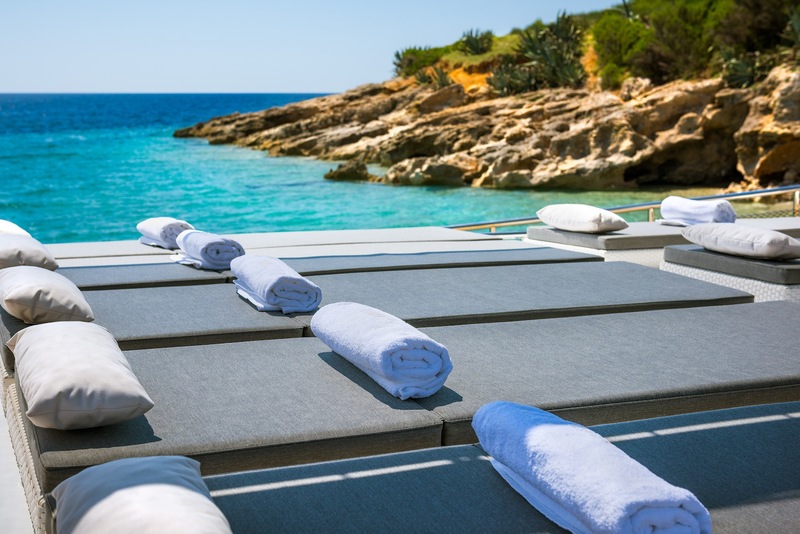 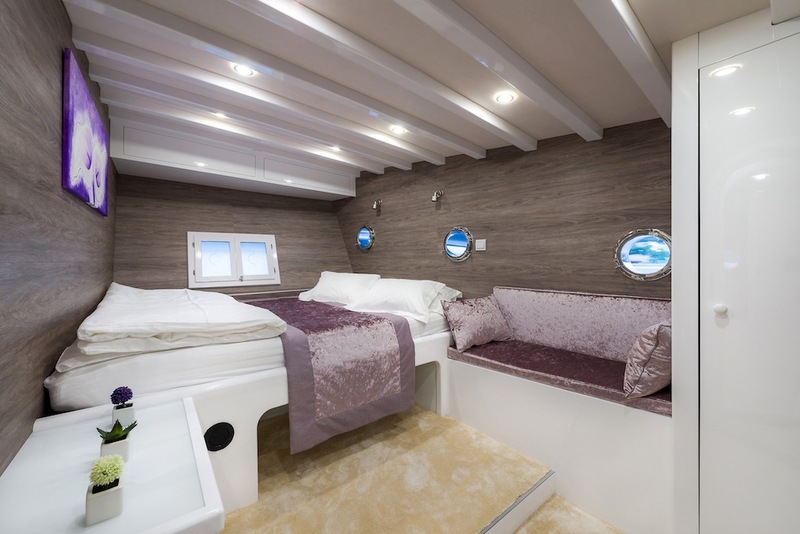 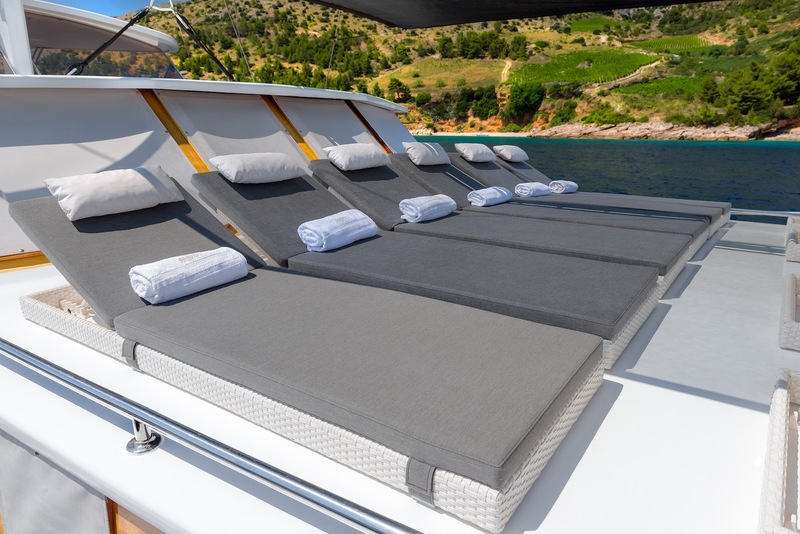 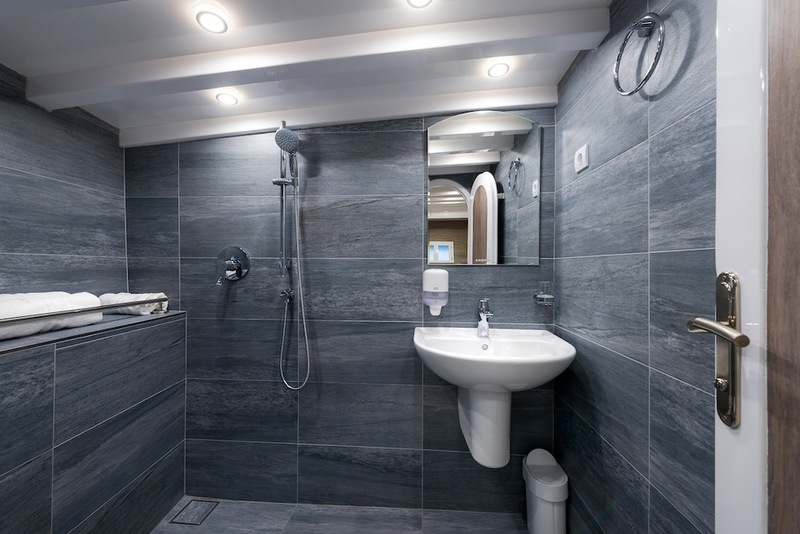 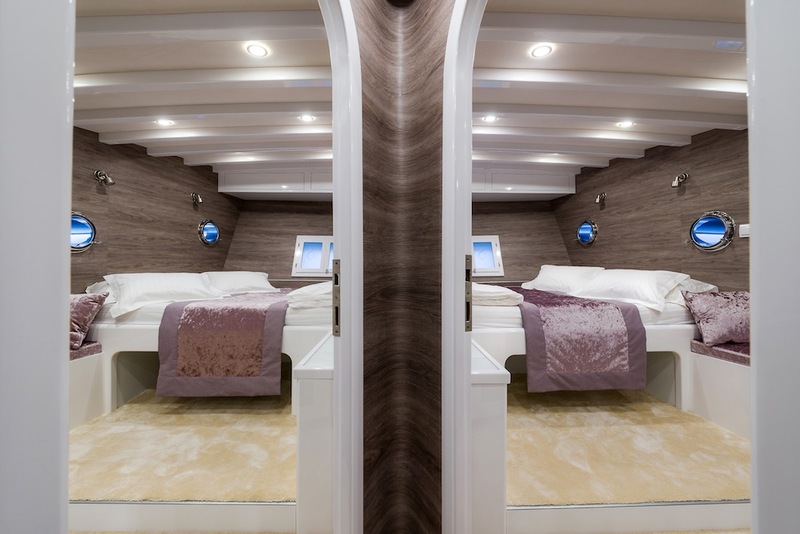 Charter yacht ANDEO can accommodate 10 guests in 5 spacious and tastefully decorated cabins, all cabins have king size beds and fully tiled en-suite facilities. 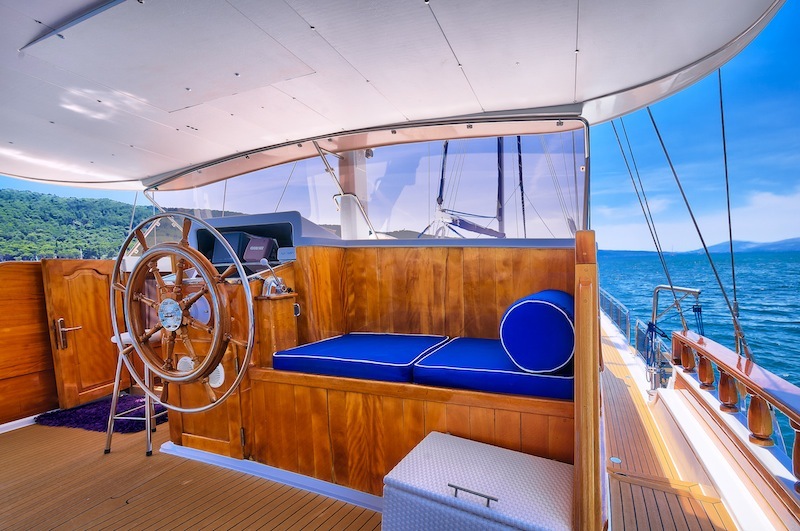 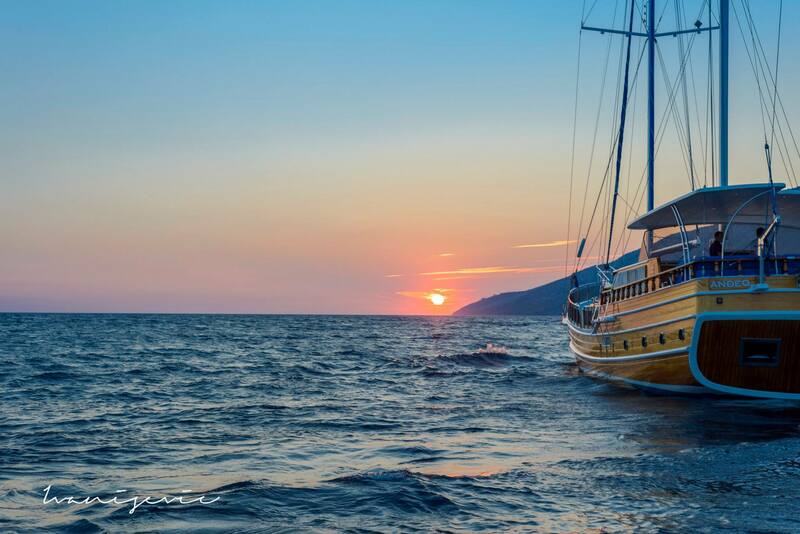 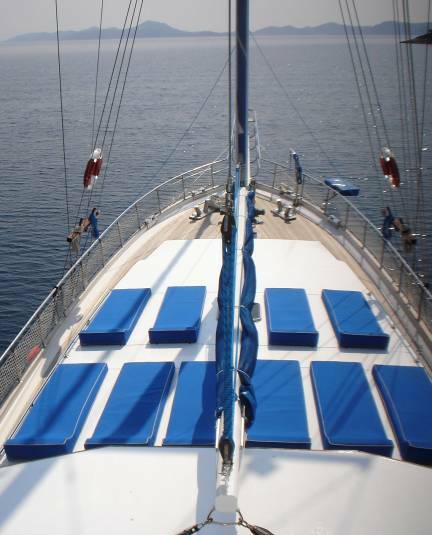 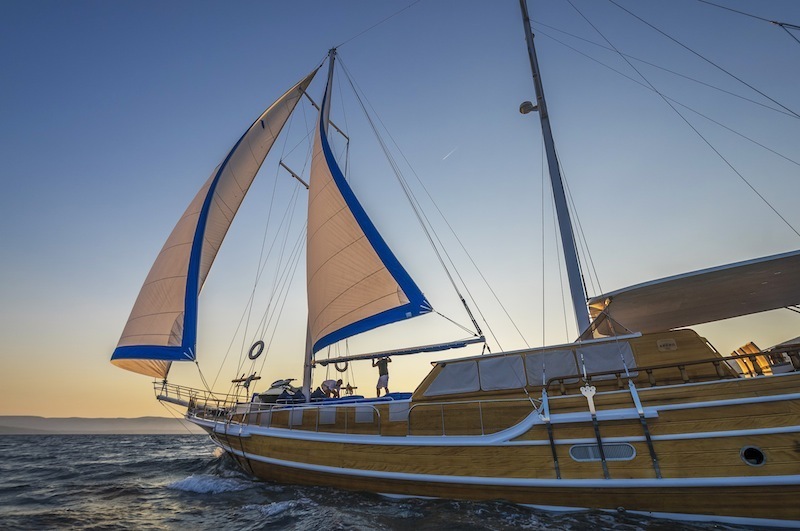 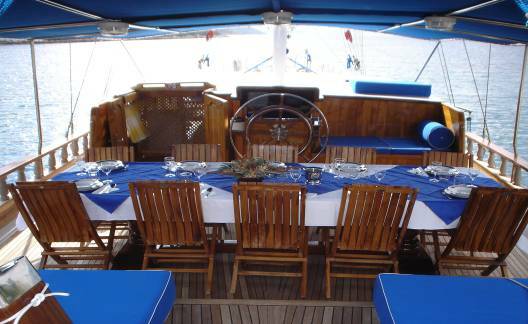 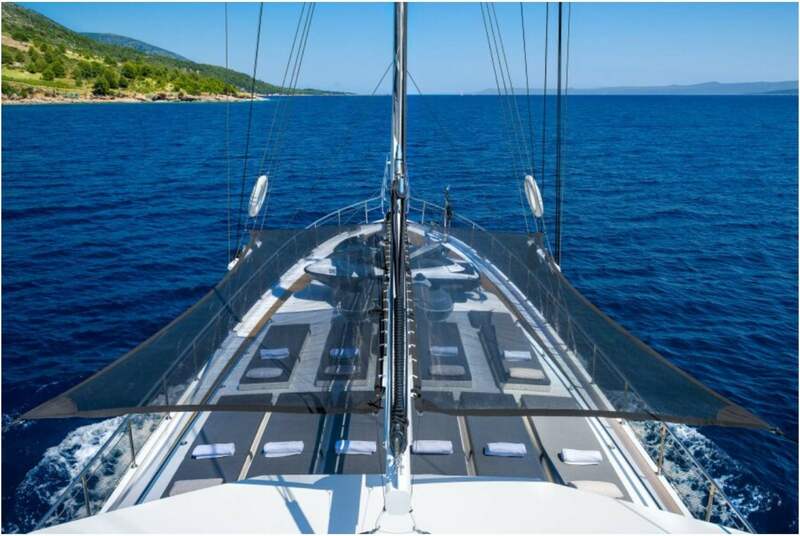 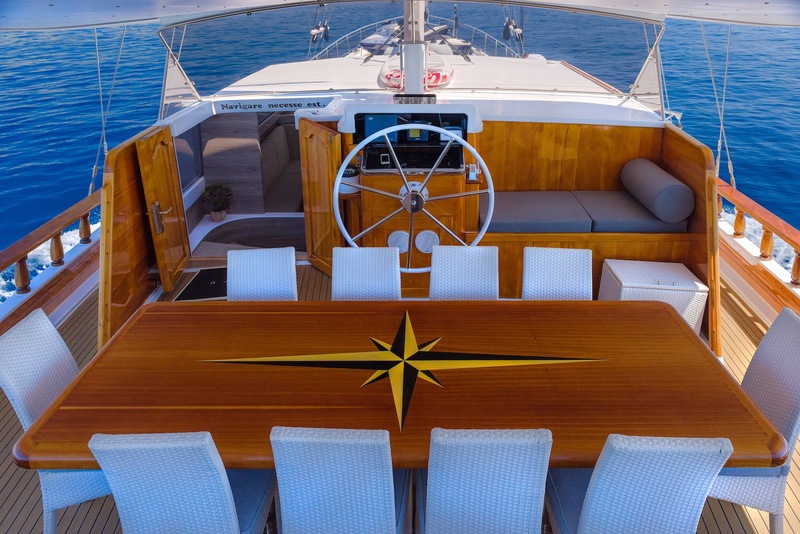 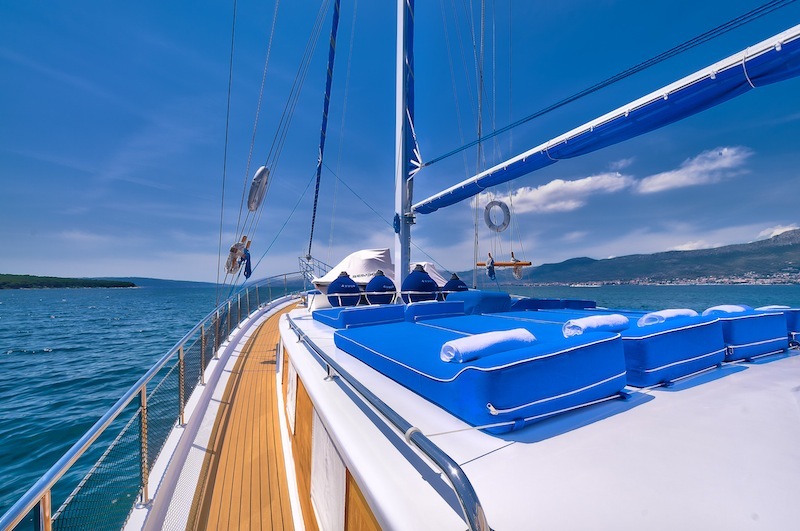 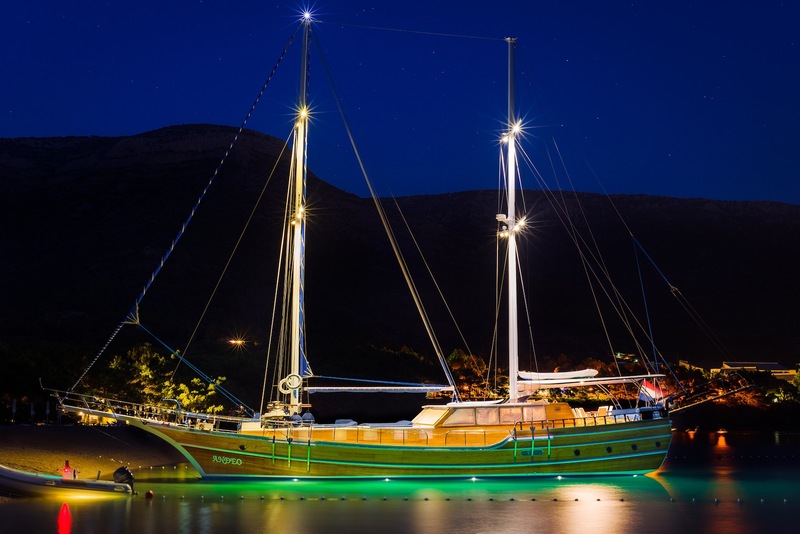 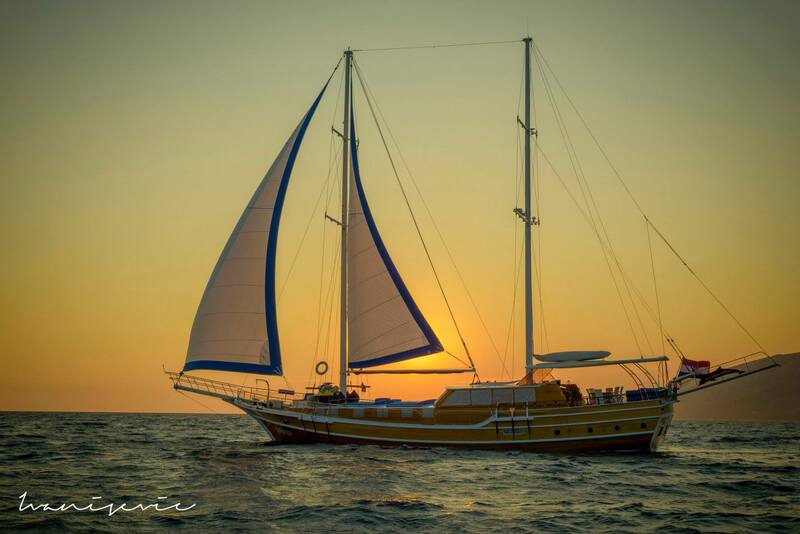 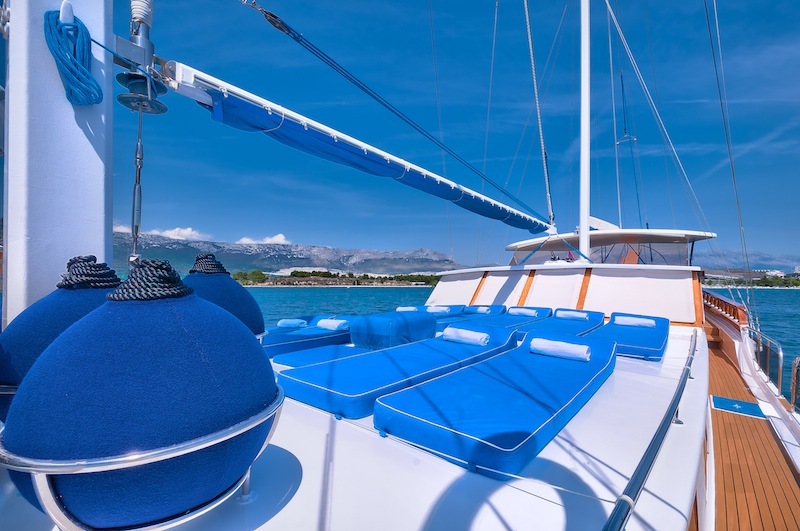 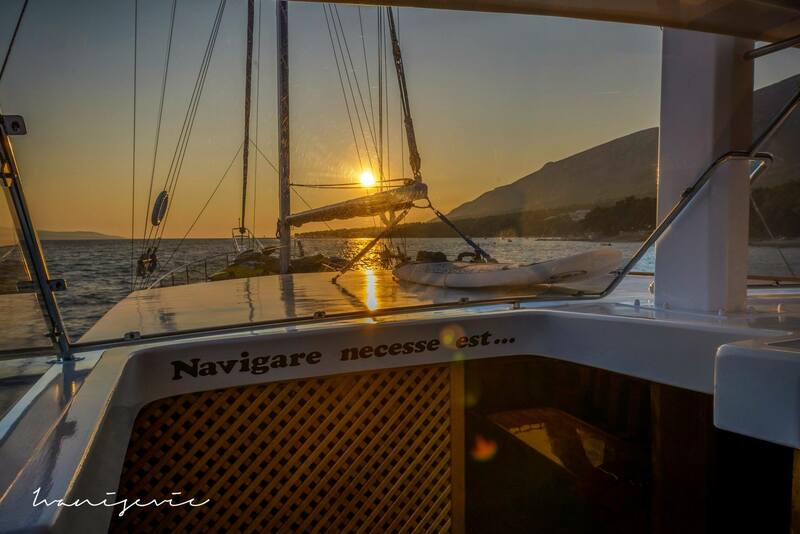 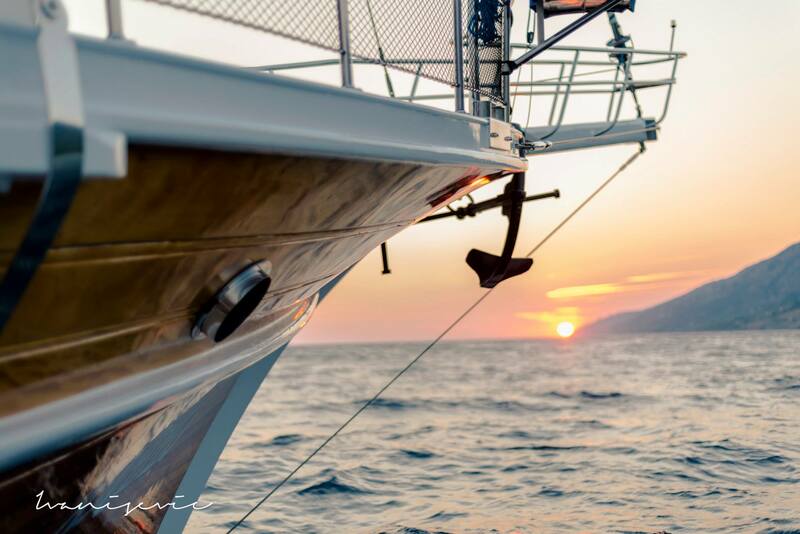 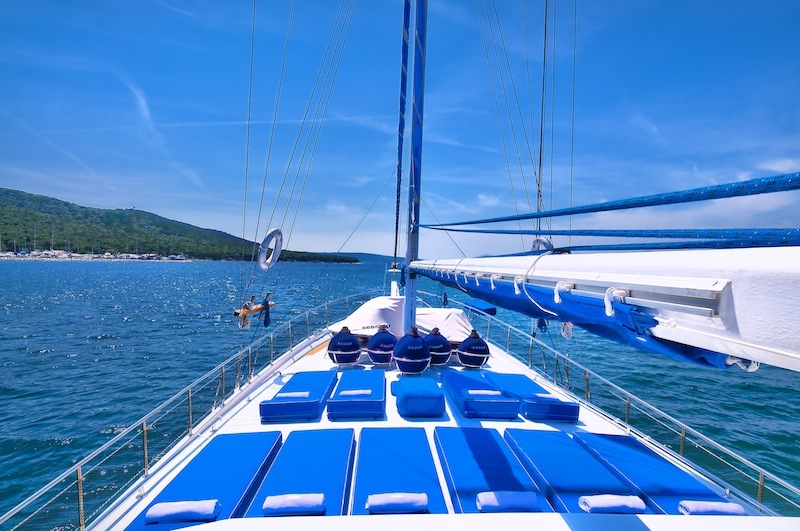 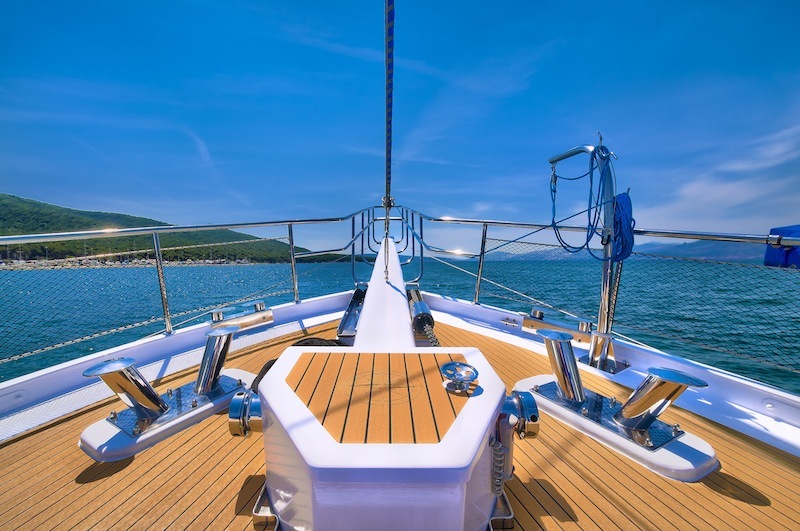 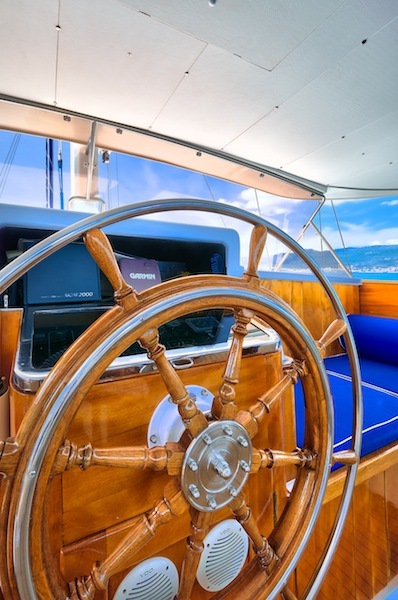 S/Y ANDJEO comes well equipped for charter offering guests a 3.8 meter tender with 40hp outboard engine, Water skis (mono and double), Inflatable Kayak, Windsurfer, Snorkeling equipment, Board games, TV/LCD, DVD, Music system and Internet connection.